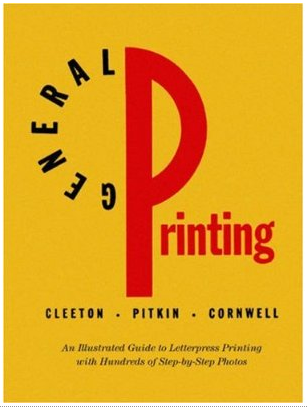 General Printing by Glen Cleeton and Charles Pitkin is the classic illustrated guide to letterpress printing. It features 300 photos and 140 illustrations to provide step-by-step visual instruction. The book has been reissued in an exact facsimile of the 1963 edition and is also available from amazon.com.